President Trump’s direct flight from Saudi Arabia to Tel Aviv on Monday is thought to be the first of its kind. The two countries have no diplomatic relations, and the flight was meant as a kind of symbolic gesture, bridging the gap between Israel and the Arab world on the U.S. president’s first overseas trip. Trump thinks he can convince Sunni Arab countries to make common cause with Israel against Iran, and maybe he can. But as part of that larger regional realignment, he wants to settle the Palestinian question. 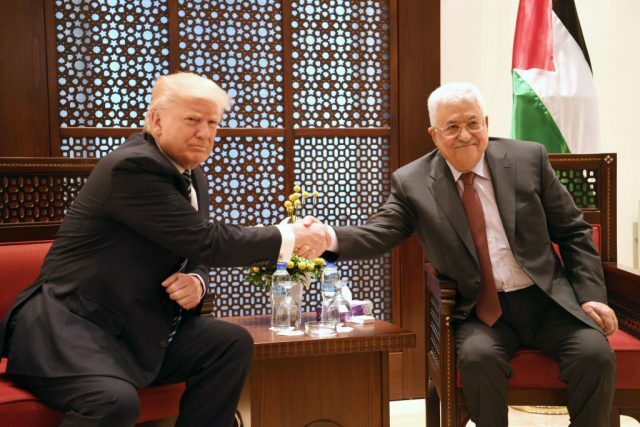 Trump’s message to Israeli Prime Minister Benjamin Netanyahu seems to be that the price of unifying Israel and the Sunni Arabs against Shiite Iran will be striking the “ultimate deal” between the Israelis and Palestinians.